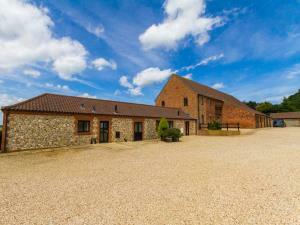 Church Farm Barns01485 578354work Self-cateringWe are a family run business providing 8 holiday cottages close to the north Norfolk coast and the Royal Estate of Sandringham all converted from farm buildings to a high standard. They can sleep between 2-10 people and we can sleep up to 48 people on site making us an ideal location for group holidays. We are a family run business providing 8 holiday cottages close to the north Norfolk coast and the Royal Estate of Sandringham all converted from farm buildings to a high standard. They can sleep between 2-10 people and we can sleep up to 48 people on site making us an ideal location for group holidays. All of our properties have been designed to be accessible for all, allowing those with limited mobility to holiday with their family and friends in a home from home environment. All cottages are wheelchair accessible, have level access, open plan room layout including roll in wet rooms and purpose built low level kitchens. Each has its own personal garden. Cycle storage available. Children welcome from any age.